Held October 29 through November 12, 2018, annual enrollment provides you with an opportunity to review your current benefits and make changes for the upcoming year (January 1 – December 31, 2019). You can select your medical plan and select or make changes to other benefits such as dental, vision, life insurance and more. This is also the time for you to set aside funds for your 2019 expenses in your Healthcare, Dependent Day Care FSA or Health Savings Account (HSA). Your 2019 benefits newsletter was mailed to your home address. If you did not receive it, click here to view it now. 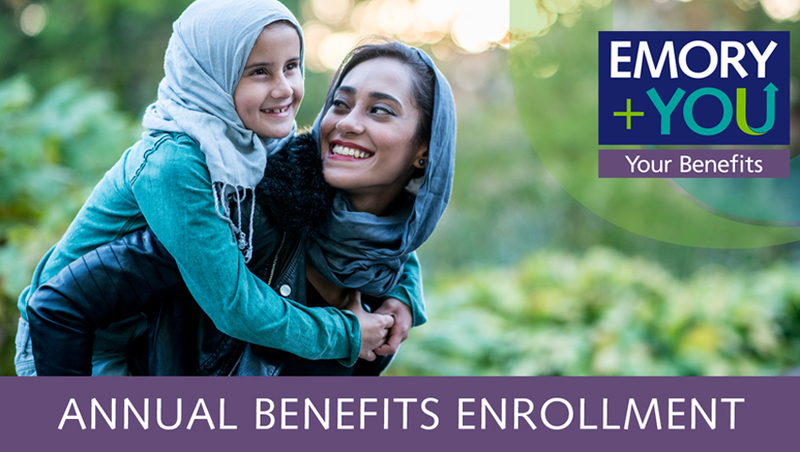 The annual enrollment website, www.hr.emory.edu/enrollment contains all the information you need about your 2019 benefits, including the 2019 Benefits Guide. Enroll online through Self-Service/PeopleSoft at http://leo.cc.emory.edu. For more information on how to enroll, go here. Note: You will need your Network ID and Password. If you need assistance, contact the Library and Information Technology Help Desk at 7-7777 (Monday – Friday, 7 am – 6 pm). For benefits-related questions, send an email to hrbenef [at] emory [dot] edu. This entry was posted in Staff Bytes and tagged benefits, HR. Bookmark the permalink. Post a comment or leave a trackback: Trackback URL.